Sharing a short video about our trip to the Okhla Bird Sanctuary near the area where Delhi and Noida meet. It was a fun trip and was kind of a nature-walk ..and our photographer friends managed to get some nice clicks. We experienced some unique sights and sounds during the trip and this video is an attempt to present to you some of these moments. 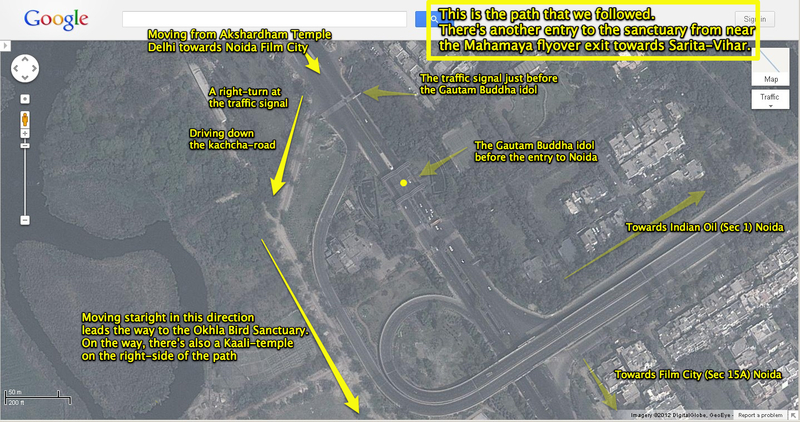 The path that we followed for reaching the Okhla Bird Sanctuary is given below the video. Next Next post: Anokhi ek kavita..